Congratulations on making the decision to experience a permanent change in your life with Pathways Real Life Recovery! We offer assistance to both clients and family members to find their way and complete the journey to the healing process. When it comes to recovery, you are not alone in the process. Take the first step by calling us at 801-895-3006 to speak to an Admissions Coordinator, or by completing the “Contact” page to request more information. We are available 24-hours a day, 7-days a week to answer questions about which program is better suited for you. The initial one-on-one consultation will include discussing available program options for you and so that your transition into the new phase of your life can occur with as few obstacles as possible. We will also provide insurance verification. In order to prepare for your intake call, take a few moments to complete the Client Intake and Admissions Form that can be found by clicking here. This form helps us learn how we can better assist you and how to design your program. Pathways Real Life Recovery accepts most insurance carriers, except Medicaid and Medicare. Visit our accepted insurances page to see if we accept your insurance. We will also determine eligibility with your insurance provider. If it is resolved that your insurance company will not cover your treatment, we can accept self-pay or assist with possible financing options. Our consultants can help you determine what options are available specifically for you. Your Recovery Journey is Tailored Specifically to You! 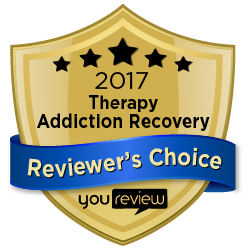 Once the payment options have been implemented, your assigned Rehab Addiction Specialist will complete your initial consultation. Then begins the designing of your recovery treatment plan. Our tailored plans include an residence recovery, an outpatient rehab program, and family therapy where we bring the recovery program to your home. We offer each client ways to deal with their true underlying causes of addiction and we don’t just teach willpower to resist the drug, we realize the whole person needs to be treated. Every client also needs a support system from their family to continue recovery long into the future. Our Certified Counselors are available to provide guidance through this entire process. Call a specialist today to get help immediately.